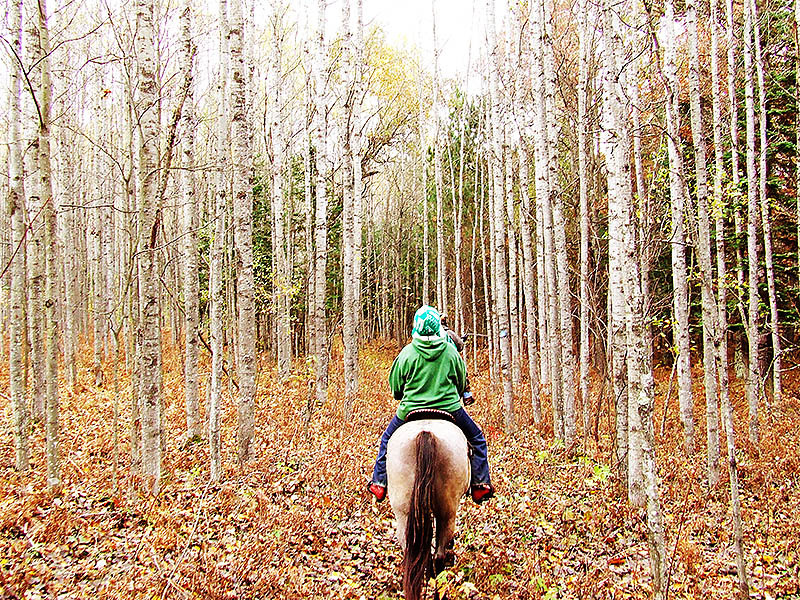 Back in October, Bryon and Kay went on a trail ride in northern Michigan. Kay and Bryon took all of the pictures (700+ photos!) and though long overdue, I thought I’d share a few from their trail ride over the next few days. This one was taken by Kay while on horseback. The aspen stood regal and bare. I love the contrast of the grey bark to the colorful autumn foliage. What a view my 2 trail riders had that day! Wow! Photo taken by Kay. Post-processing by me.